Our livelihood is also our hobby! At Gary Schatz Garage, we work, race, and show cars as a family. Which car is more likely to record both faster speeds, and quicker times at a 1/4 mile drag strip? (A) 1986 Chevrolet Corvette with an 8 cylinder engine? 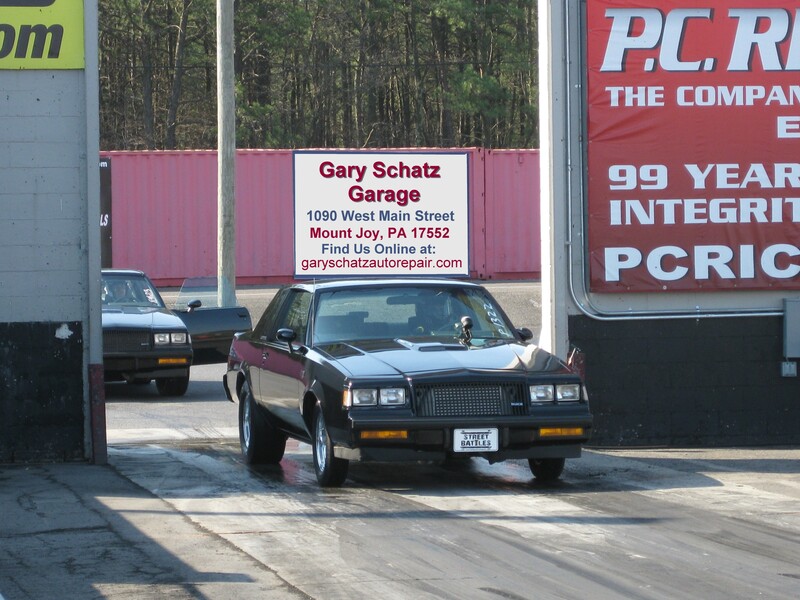 (B) 1986 Buick Grand National with a 6 cylinder engine? The 1986 and 1987 Buick Grand Nationals were so fast, they even outperformed General Motor’s flagship high performance car, the Corvette! Gary and Thomas compete with the awesome 1986 Grand National shown below. Now much faster than the already impressive stock version, it is likely to outperform even the fastest high performance production cars being built today! Be sure to give the mighty GN the respect it deserves if you happen upon one on the street, lest ye be rendered red in the face!